What does Acceptance actually mean? I blogged about acceptance before, in fact you can read my blog here. That was 2 years ago now. And I think acceptance for me is changing. Recently I had a break from social media for a few weeks to give myself time and space to think. I wanted to be sure that I am able to manage the girls long term. And I am. I know I am. My lovely GP has been helpful in talking through these issues and making me realise that I am doing a good job and I should stop putting pressure on myself or allowing others to do so. Parenting Small can be draining. The older she gets the more pronounced her difficulties seem. She is clingy with an insatiable need to be near me or on me. Her sensory issues, inflexibility, need for control and obsessions all seem to be getting steadily worse. I am accepting that this is just the way she is, and it’s ok for me to find it a little claustrophobic sometimes. I know how to prioritise my girls’ needs and do what is best for them. But I need to do the same for myself too. But perhaps the biggest part of acceptance for me has to be learning to accept the status quo with my eldest. Many kind adopters have messaged me saying that it is fear that stops Eldest from showing love to me, that it will come in time if I persist with therapeutic parenting, that parenting children with trauma is a long game and if I keep it up eventually there will be a breakthrough. All those things are true for many adopters and many children. All those messages are sent with love, care and a desire to give me hope. But what if it isn’t true for my family? What if Eldest does not have the ability to develop love or empathy for anyone? What if, in her eyes, people are like are objects or possessions, and she just isn’t able to develop beyond that? And what if she is unable to modify her negative behaviours in any significant way? Then all I am doing is putting pressure on her with my expectations. And pressure on myself too. I believe that is the case for us. There are a few who know us well who think I may be right. I am still parenting therapeutically. I know we can have happy times, and I can make positive memories for us as a family. But I am no longer waiting for that elusive magical breakthrough with Eldest. I am trying to accept her limitations and love her for who she is and accepting that this is who she will always be. I’m not there yet on this journey to acceptance but I’m getting there. I feel generally at peace and that can only be a good thing. This entry was posted in 3 girls together, Adoption, attachment, Family, Therapeutic Parenting, Uncategorized and tagged adoption, Attachment, family, love, RAD, therapuetic parenting on January 22, 2016 by 3girlstogether. I fight hard for my eldest daughter. I battle with professionals to get her what she needs. I take her out on day trips with her younger sister and we all have fun and make good memories. I go up to her room at bedtime to chat to her about the good things from our day and then tell her I love her and kiss her goodnight. I use PACE a lot. I’m pretty good at wondering with her about what is going on under the surface; what’s driving her behaviour. I plan activities, structure our home lives etc. I try to parent her in the very best way possible. At the moment I’m doing an attachment parenting course. Last week the psychologist running the course asked me if I thought the emotional connection was there for me. It was asked in a supportive way. Not in any way to criticise. And I answered truthfully. How does a parent remain emotionally engaged after 4 years of rejection? I’m sure there are parents who do. I try. I try very hard. But I guess if I’m honest then the answer is probably no. I’ve thought about this all week. I do know that the fact she isn’t able to love me still makes me cry. So there must be something there. I hope and pray she doesn’t know how much I struggle with this. I’m guessing the professionals would say that she must know. What does this make me? Human? A failure? Unworthy? This entry was posted in Adoption, attachment, Family, Therapeutic Parenting and tagged adoption, Attachment, RAD, therapeutic parenting on November 29, 2015 by 3girlstogether. Before I adopted I had a successful career. I would like to think I was well respected and pretty good at what I did. That involved dealing with many other senior professionals in different fields. That was easy, even enjoyable, for me. So how is it that now I am unable to successfully advocate for my children? How is it that I find parenting them so hard? Is it me? Am I lacking in resilience? If the girls were with someone else would they have got the help they need by now? Or even worse – if they were with someone else would they not need any help or support? I’m managing to deal with the girls’ school – that’s exhausting in itself; trying to ensure they consider the girls’ needs when they plan lessons/activities without alienating staff. Not easy when eldest’s teacher rolls his eyes every time I mention that she is struggling. And now trying to gently lead them to a decent plan for transition into the next school year; trying not to tread on toes whilst achieving the best outcome for the girls. I’m managing to speak to the GP to get a couple of physical issues dealt with for my youngest. He is at least listening and has made referrals for her. But for the rest – I’ve walked away for now. I’m relieved to have CAMHS out of our lives. I feel sick when I get a letter or email from the placing authority. How ridiculous is that?! I feel weak. I feel ashamed of how weak I am. This entry was posted in Adoption, adoption and school, Therapeutic Parenting and tagged adoption and school, adoption failure, adoption support, post adoption support, RAD on June 13, 2015 by 3girlstogether. 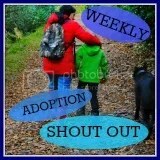 Today’s optional theme on Adoption Social’s Weekly Adoption Shout OUT is ‘FOREVER‘. Goodness me this one has got me thinking this morning. My confidence is a bit fragile at the moment. And so the word FOREVER overwhelms me rather. 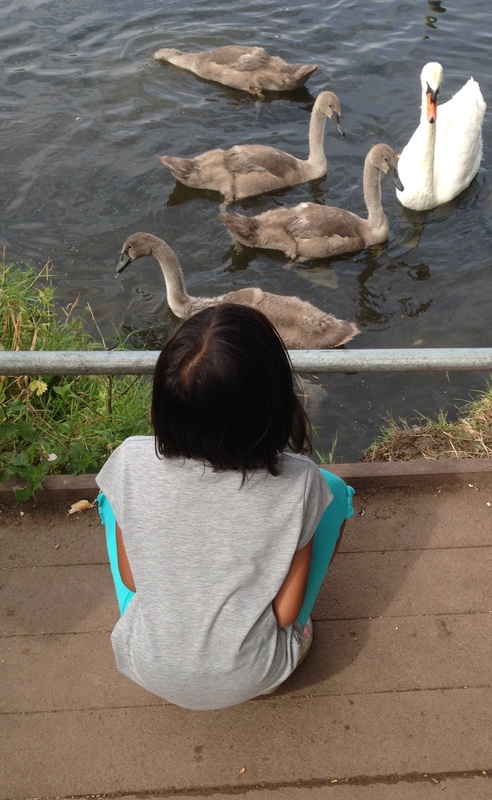 My children are Asian – they were over the age of 2 at placement. 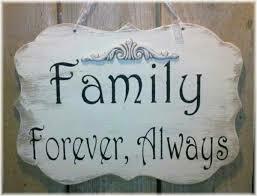 Their FOREVER was going to be changed to long term foster care till I appeared on the scene. So for my lovely girls I hope that their FOREVER will be different because they have me and the logical part of me tries to remember that. But FOREVER has another meaning for me. FOREVER alone, FOREVER exhausted, FOREVER trying to manage the girls’ struggles on my own, FOREVER fighting the system for what my children need and deserve. Do I sound negative? Please forgive me. I don’t mean to be. 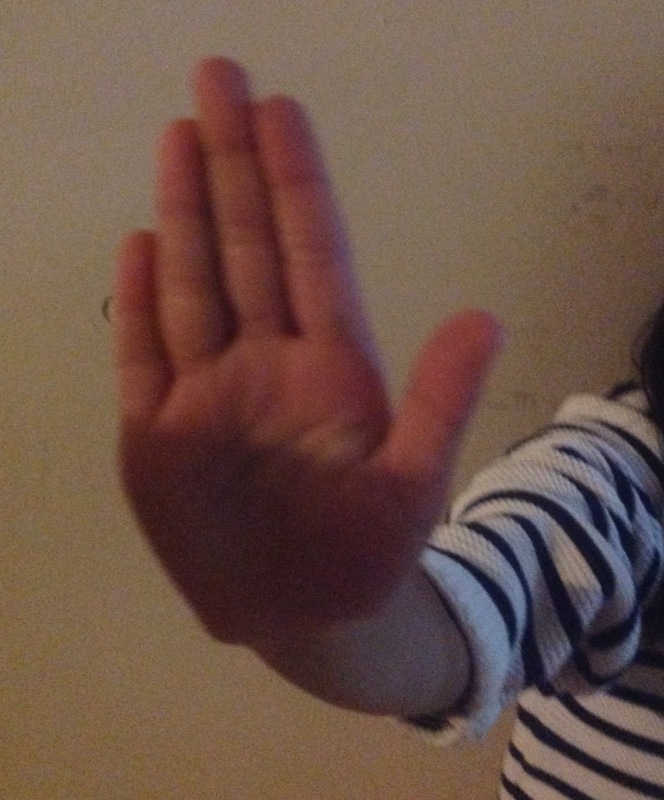 I don’t parent the girls in a negative way – honestly I don’t. I put a lot of time and effort into creating opportunities for them to experience success or make tiny steps of progress and I celebrate it joyfully every time it happens. And I do access support where it’s available if you’re wondering. Though most support I find transitory and at the end of the day I am a single adopter, these are my children. It is for me to deal with this, to make the decisions and to try to ensure we survive as a family unit – which is the very least my girls deserve. And for today at least FOREVER seems like such a long time. This entry was posted in Adoption, Family, Uncategorized and tagged adoption, family, forever, RAD, WASO on June 28, 2014 by 3girlstogether. Today Kitten said ‘But what if…‘ to me. It’s the first time she has managed that. Yes, another first! I received a note in Kitten’s home school book to say that she had had a tricky afternoon. Tomorrow the school have an Artsmark inspector coming in to school and he will be going in to classes and talking to children. Her class practised for the visit this morning in case he comes into her class tomorrow. That doesn’t sound SO bad does it? But this is a huge problem for my little girl because she is petrified of men. Not scared, not frightened, she is utterly terrified of all men. To be fair to the school this is one thing they generally try to get right as they have witnessed the effects of getting it wrong. The teacher has ensured that the inspector will not be taken into Kitten’s classroom at all. But she could see that Kitten was very worried this afternoon, starting to bite herself again. So after school I had a chat with Kitten and told her that the man would definitely not come in her room. I reminded her of a few other times when I had promised things wouldn’t happen and they didn’t. And then she said it ‘Mummy but what if I need to go to the toilet at school and I meet the man in the corridor?’ What was even lovelier was that when we started to talk it through a bit she said ‘Hey Mummy did I just tell you a worry without even knowing it? !’ She was so proud that she forgot herself and climbed on my knee for a HUG!!! I can count the number of times she has climbed on my knee at home on the fingers of one hand and she has never told me a worry before. I have blogged before about my struggles with acceptance and how I am trying to find joy in the small things we can achieve as a family. But today this small achievement felt very very big and very very joyful. This entry was posted in 3 girls together, Adoption, Family, Uncategorized and tagged acceptance, adoption, love, RAD on May 8, 2014 by 3girlstogether. 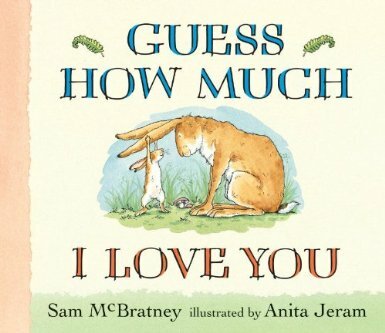 I think most people have read Guess How Much I love You. It’s one of my children’s favourite stories. It was one of the first stories I ever read to the girls and we still read it regularly at bedtime. As Kitten struggles with being told that I love her, it’s yet another way to let her know how much I care in a less direct way. Recently Bunny, my little one, has said frequently that she wishes she had grown in my tummy. Then Kitten will ask me to tell them the sorts of things I would have done with them if they had been my little babies. So today I decided to give the girls a special present each. I decided to give them a gift I might have given if they had been my newborns. I’m always trying to think of new ways to make a connection with both children, but especially Kitten, and thought it might mean something to them. This idea was suggested by a PASW to another adopter I know and had been received positively by her son. So this evening firstly I read the story to them both at bedtime. As I sat in the middle of them, as usual Kitten was trying to make sure my arm didn’t touch hers. 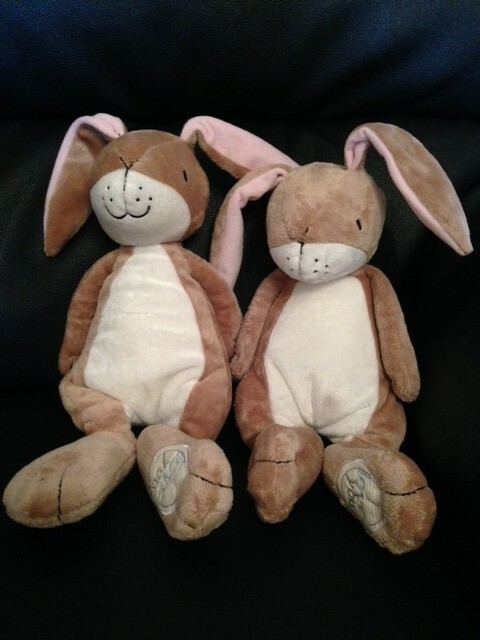 Bunny was very happy to get a new soft toy and settled down to sleep – her usual Teddy quickly abandoned on the floor. But with Kitten I sat on her bed and reminded her why I was giving her that toy – that my love is for always, every second of every day, not just when she’s being good or happy or calm. I love her if she’s doing something she shouldn’t, if she’s dysregulated, if she’s angry and even when she doesn’t love me one tiny bit I still love her. And my little girl got tears in her eyes as I spoke. Kitten has rarely shown genuine emotion like that. In fact I’m sitting here wondering if it was the first time – and I think it might be. For a few minutes I felt like there was a real connection between us, that she understood that I meant it. She didn’t say I love you back and that’s ok. Tonight at least my 6 year old will go to sleep believing that her mother loves her. That’s enough for me. This entry was posted in Adoption, Family, Uncategorized and tagged adoption, family, love, RAD on May 3, 2014 by 3girlstogether.